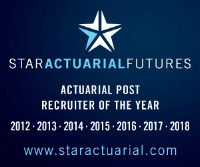 This global insurance company is offering an exciting opportunity for a qualified Life Actuary. Principal tasks will revolve around Solvency II, MCEV calculation and strategic projects on Group level. The role offers high visibility to top management and good career progression. The ideal candidate will be a qualified actuary with relevant experience in the life insurance market. Good knowledge of market consistent principles and valuation would be an advantage. Good communications skills and international experience are expected.